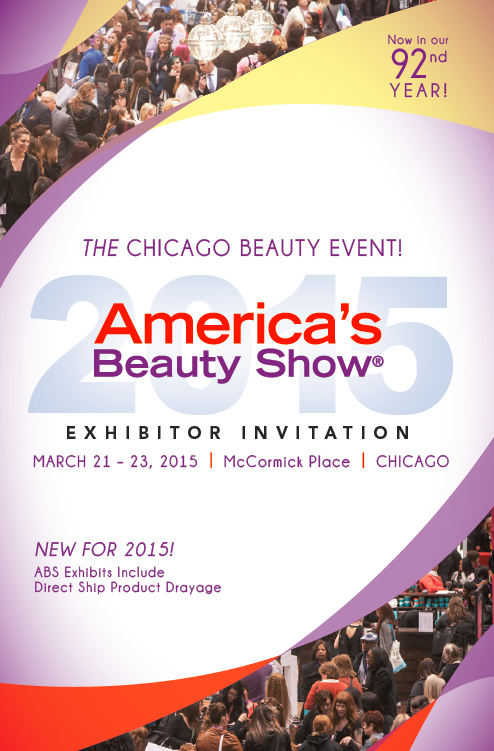 We are excited to again be exhibiting at a premier industry show – America’s Beauty Show at McCormick Place in Chicago. The show takes place March 21-23, 2015. We love to exhibit at these shows—we get the chance to meet our favorite people, salon owners, cosmetologists, and stylists. And we can give you a chance to check out our easy salon software management system in person so you can see how much it will simplify your life! America’s Beauty Show has been around for 90 years—tens of thousands of salon professionals attend the show. On display are the latest education, fashion, products and business techniques that will keep your salon current, ahead of the latest trends, and ultimately successful! We are happy to be included as an ingredient to your success. Visit our booth, and we will be able to show you why Rosy Salon Software will work for you. We always love to see the looks of amazement and hear from salon professionals about how much time our software will save. (And we have a gorgeous luminescent Rosy Tote for you where you can keep all your SWAG from the expo.) Our software makes scheduling, cancellations, client history, and reminders easy and automatic so you can get back to doing what you love. Visit us at our booth. We can’t wait to see you there! If you’ll be there, contact us now to let us know when, and we’ll be ready to give you a personal demonstration.